Prior to the mid-20th century, American fashion was relatively unknown. Women would shell out tens of thousands of dollars to have Parisian haute couture made specifically for them. This was the trend until the rise of ready to wear: affordable, mass produced clothing. Ready-to-wear was a new concept in the fashion landscape; no one had ever heard of it, and if they had, they ridiculed it for not being considered “real fashion.” All this changed in 1973 when a fashion show was held at the Palace of Versailles, pitting the best French designers – Givenchy, Yves Saint Laurent, Balenciaga, Pierre Cardin, Emanuel Ungaro and Christian Dior – against the best American designers – Bill Blass, Oscar de la Renta, Anne Klein, Halston and Stephen Burrows – in an effort to raise money to restore the Palace. 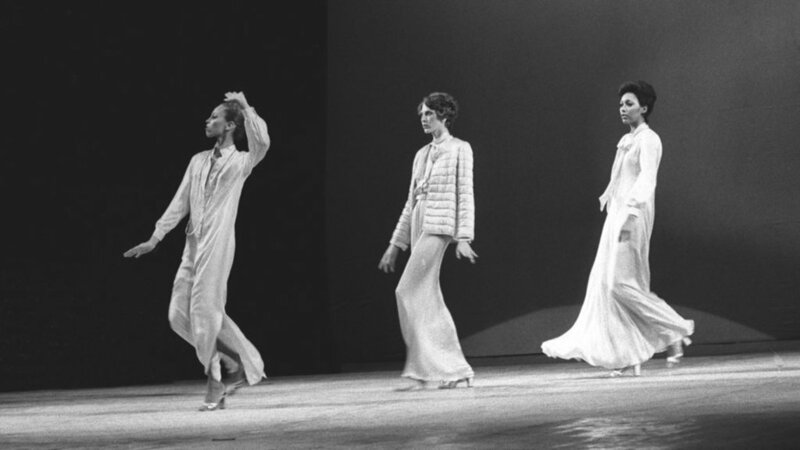 The show took place on November 28, 1973 at the Théâtre Gabriel, hosting 700 guests, including Princess Grace of Monaco, Marie-Hélène de Rothschild, Andy Warhol and Liza Minnelli. It was created by American fashion legend Eleanor Lambert, who was known for bringing designers to fame and connecting the industry, and choreographed into a full scale production with the help of Liza Minnelli. The American designers shocked the world when they came out to be the clear winners of the show, showing that ready to wear was a true force to be reckoned with. Not only were the designs innovative, so was the selection of models. Of the 36 models, 11 were African-American, showcasing America’s diversity. 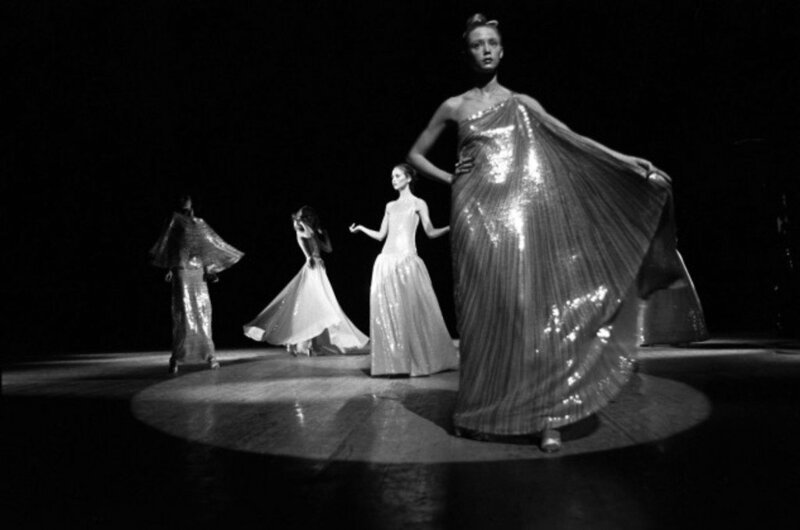 The event was documented in Pulitzer Prize-winning fashion critic Robin Givhan’s book, “The Battle of Versailles: The Night American Fashion Stumbled into the Spotlight.” In the 2015 release, she details the history of the industry leading up to the night of the show, captivating the readers as if they were actually at the show. She also explains how the Americans’ revolutionary ready to wear set the stage for today’s fashion. Originally known as a couturier up until the 1960s, De la Renta made the switch to ready-to-wear after realizing that was where the money was. After consulting with Diana Vreeland, the then editor-in-chief of Vogue magazine, she advised him to work for Arden in New York, because he would get promoted faster without having to live in Dior’s shadow as a couturier. He left Arden after two years to work for Jane Derby and when she died, he took over the company. De la Renta’s designs have been worn by distinguished celebrities and women all over the world. He has been inducted into the Coty Hall of Fame, has been president of the Council of Fashion Designers of America and has won the CFDA’s Lifetime Achievement Award. De la Renta was diagnosed with cancer in 2006 and died due to complications on Oct. 20, 2014 at the age of 82. Blass began his career in fashion design in 1945 after he served in the Army during World War II. In 1970, after success with both menswear and womenswear, he bought Maurice Renter Ltd., renaming it Bill Blass Ltd. Blass was De la Renta’s competition during the fashion show; both wanted to be the finale. Blass’s brand expanded to include swimwear, fur, luggage, perfume and chocolate, with expansion beginning after the show. By 1998, the company made $700 million a year. Blass retired in 1999, selling Bill Blass Limited for $50 million. He was later diagnosed with throat cancer and died on June 12, 2002 just before his 80th birthday. Halston was known for his minimalist clothing made of cashmere and ultrasuede, popularized in the 1970s. Halston’s claim to fame was as a hat designer, designing the pillbox hat that Jackie Kennedy wore to President Kennedy’s inauguration in 1961. He shifted to designing clothing, opening his first boutique on Madison Avenue in 1968. He released his first ready-to-wear collection in 1969, focusing on comfortable clothing such as shirt dresses and chiffon gowns, which became key pieces in the 1970s. 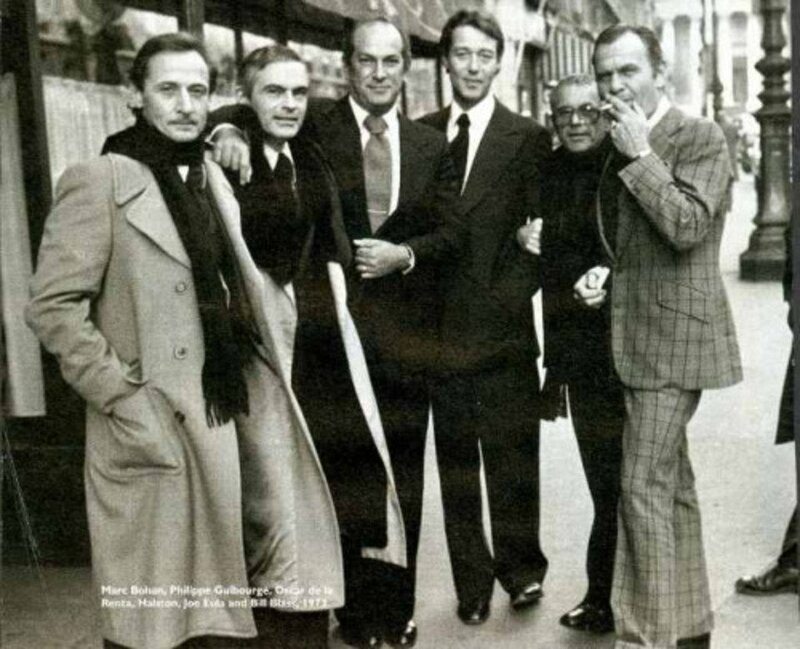 Halston’s clothing was worn by celebrities such as Liza Minelli, Anjelica Huston, Elizabeth Taylor and Bianca Jagger. His company expanded to selling perfume, menswear, luggage, handbags, lingerie and bedding. 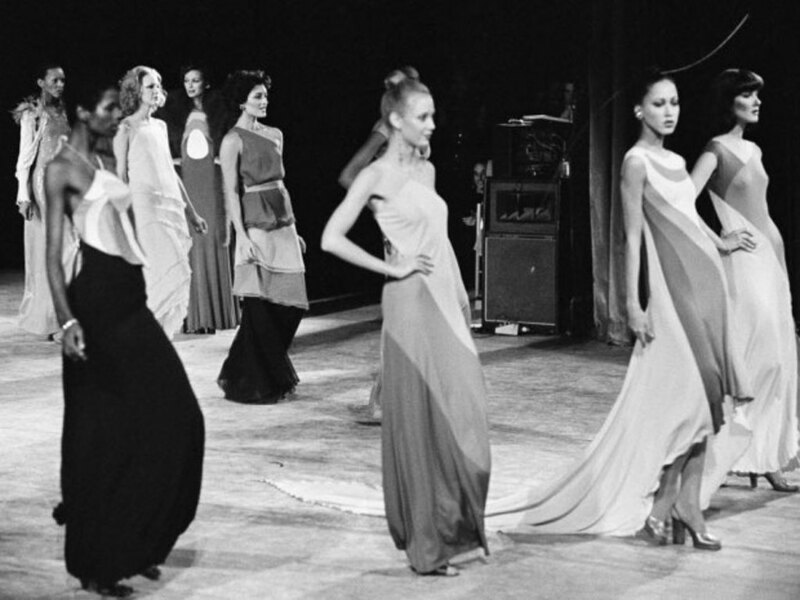 Halston popularized the caftan, jersey halter dresses and injected the use of polyurethane into American fashion. Halton died on March 26, 1990 of Kapok’s sarcoma, an AIDS-defining illness at the age of 57. Burrows infused culture of both Newark and Harlem in his inventive cut and bias designs. His color-blocked garments were worn by Anna Cleveland, daughter of Pat Cleveland. His gold chainmail dress was worn by Farah Fawcett; At the age of 15, Brooke Shields worn his design on the cover of Cosmopolitan magazine, the youngest model to make the cover. More recently, Michelle Obama wore a pantsuit to an event in D.C.
His innovative work has been the subject of many retrospective exhibits, including “1940-1970’s Cut and Style” at the Fashion Institute of Technology in New York; “The 1970s” at the Tribute Gallery in New York; and “Back to Black” Art, Cinema and the Racial Imaginary” in London. Burrows opened his showroom and design studio in New York’s Garment Center in 2010. Klein was the only female designer to attend the fashion show at Versailles. She was seen as the underdog, mostly for being a woman, and for designing women’s sportswear. Her aesthetic focused on dressing the modern woman, creating garments that can be worn in the workplace. Klein revolutionized junior’s apparel with the creation of Junior Sophisticates in the early 1940s. The company made junior’s apparel more stylish and grown up, rather than the juvenile garments that were being sold before. 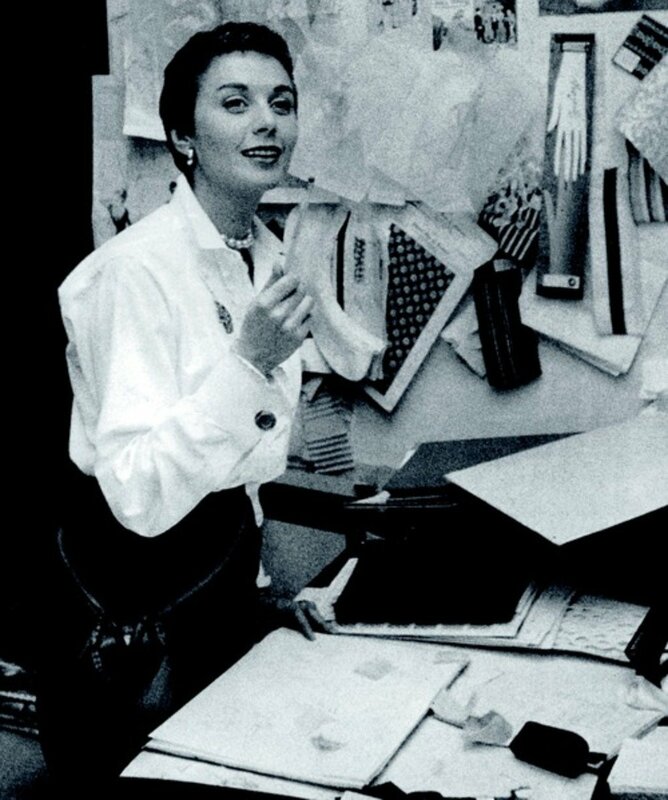 Klein succumbed to cancer on March 19, 1974, just three months after the Versailles show, leaving her promoted assistant, Donna Karan, as a head designer. The brand grew to become the first bridge line in American fashion – clothing that is priced just below designer clothing, but much better quality than lower less expensive clothing – while still maintaining a similar look. America has grown into a fashion powerhouse in the last 60 years, thanks to the invention of ready- to-wear. Today, dozens of designers dominate the ready to wear industry, and it’s all thanks to these five pioneers who showed that couture no longer dominated fashion. Originally published on 303 Magazine.